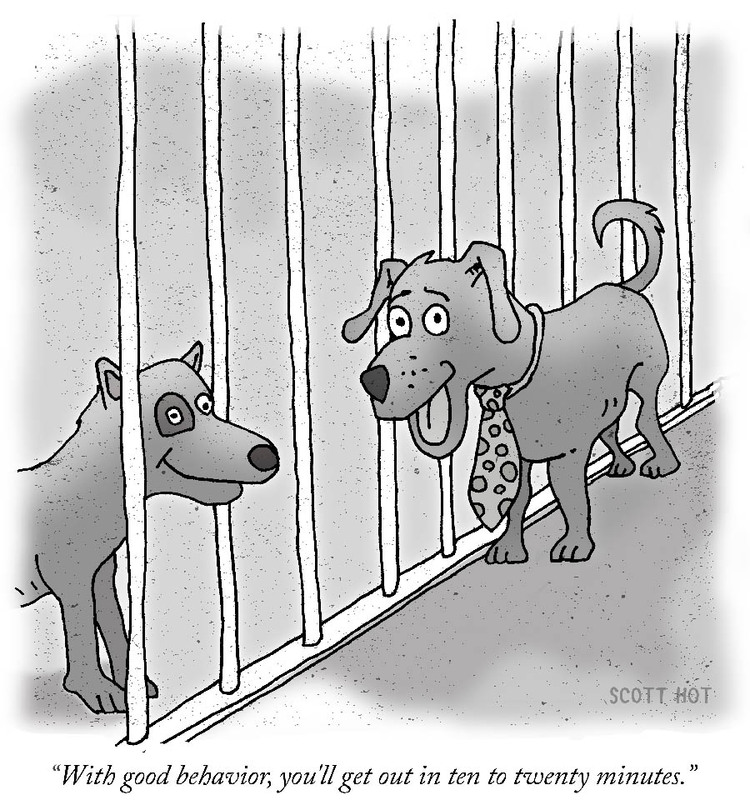 My Experience Submitting Cartoons for Publication in the New Yorker. 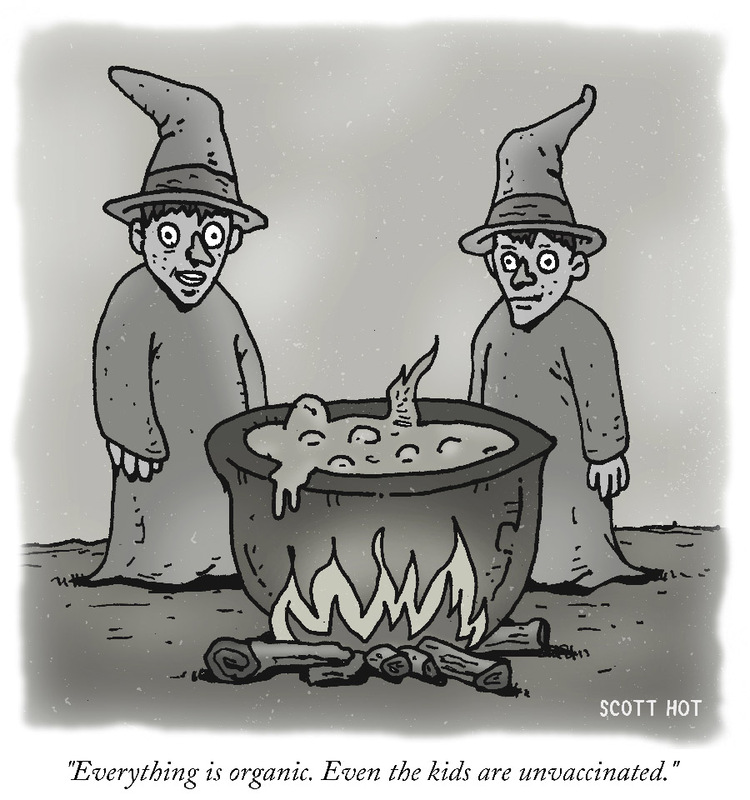 I just submitted cartoons to the New Yorker for the first time. In case the suspense is killing you… I got rejected. This is a rather long winded article so if you just want to skip all the blather and just see the cartoons then check out My Rejected New Yorker Cartoons. Here’s a run-down of what the process is like, what I submitted, and things I would do differently next time. Currently you submit the cartoons via an online service at submittable.com. Before signing up for a submittable account you should do a couple of things in advance before sending in some cartoons. 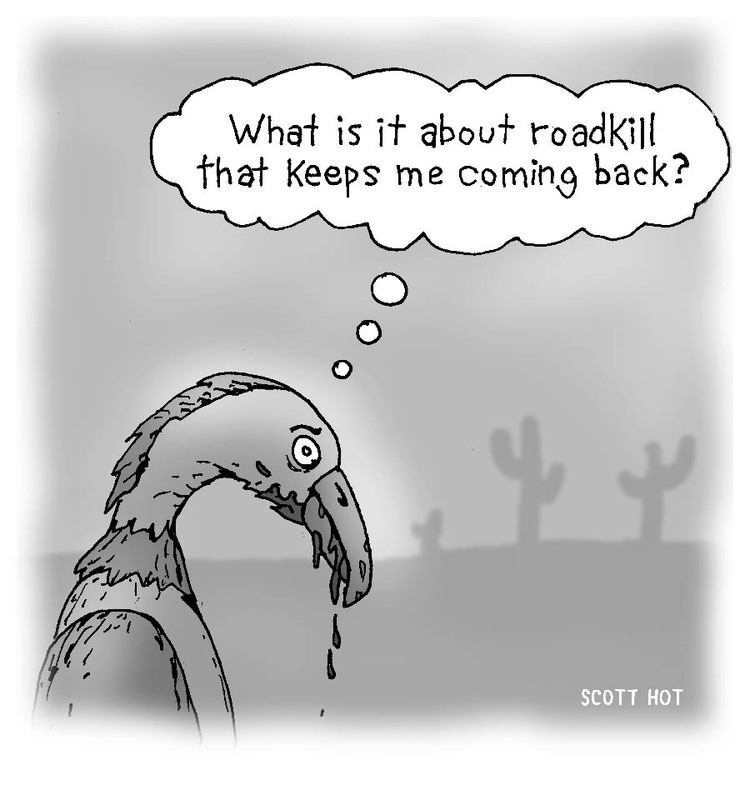 You can submit up to ten cartoons so you should have at least ten prepared before you submit. You want to have the most chances possible when submitting so submit exactly ten. Ask yourself if any of the last five cartoons are stronger than the first ten you want to submit. If some of them are stronger then put them in the first batch. Voila! Your submission is now a lot better. If you do get accepted then you have a leg up on sending in the second batch quicker. They ask for a cover letter as part of the online form. I wasn’t expecting this so I just wrote something short and pithy on the spot which I believe was a mistake. I should’ve taken my time and written something more formal that put emphasis on my desire to be a regular contributor to their magazine. So don’t do what I did, and instead put some advance thought and preparation into the cover letter before you submit the cartoons. How long does it takes to get your Cartoons Reviewed? According to the information on the site, cartoons for the New Yorker are reviewed on “a rolling basis”. I did some googling to try to figure out an average but all the information I found was old and so was unfortunately not applicable to the current publishing situation. Here’s how long it took me to receive a response to my submission: it took 37 days. Your response may be quicker but personally based on this scrap of information, I’m putting the response window to be between 30 to 60 days for new comers to the submission process. If you submit cartons to the New Yorker this is really good to know so you can avoid the existential crisis I started to feel after about 15 days. Set your expectations that will take at least a month to hear back from them and make more cartoons while you await their response. I received my rejection August 1st and you’re allowed to submit once a month so I’ll submit a new batch during the first week of September and I’ll make some changes to the look the second time around. Although it was, I suspect, just a form letter type of response – they said I should go look at the cartons they are publishing at the New Yorker. So in comparing those to mine I can see that generally the New Yorker ones have a sketchier looser feel and mine generally don’t so I’ll be modifying that aspect. They probably should have a more spontaneous, less stiff feel to them in my assessment. Also I see they use a lot more white space than I did, I tended to gray in all the backgrounds and I should leave more white space to be more align with the general aesthetic. This also ties into having a more casual feel to the cartoon in general. I don’t generally work in black, white and grays so while I like my first attempt at working in monochrome, I can see that there’s room to improve. 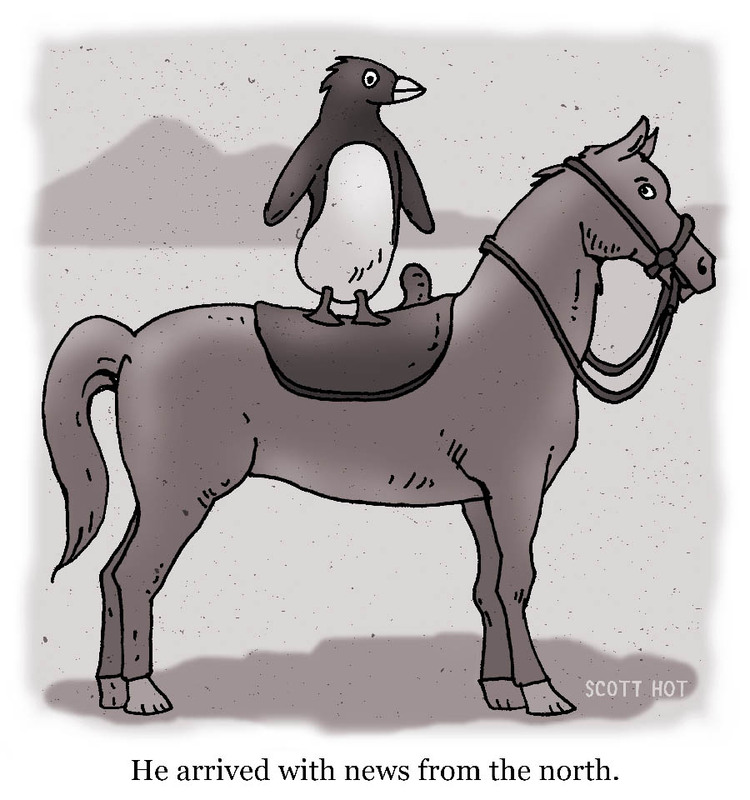 I think in general I should have a few more topical ones as their cartoons frequently reflect modern living and a few less of the outright bizarre ones like the penguin on a horse (although I think it’s very funny). Also, I submitted one in color because I thought it would be a nice visual break in the submission batch. Although they do publish some cartoons in color, in retrospect, I think as newcomer I should just stick to the standard back and white until I get a cartoon accepted for publication. Also I slightly toned some in this batch which I won’t do next time. It could give the impression that I don’t understand that they primarily publish cartoons in black and white and cluelessness is not an ideal first impression to make. These are the cartoons I thought were most likely to get a favorable response. 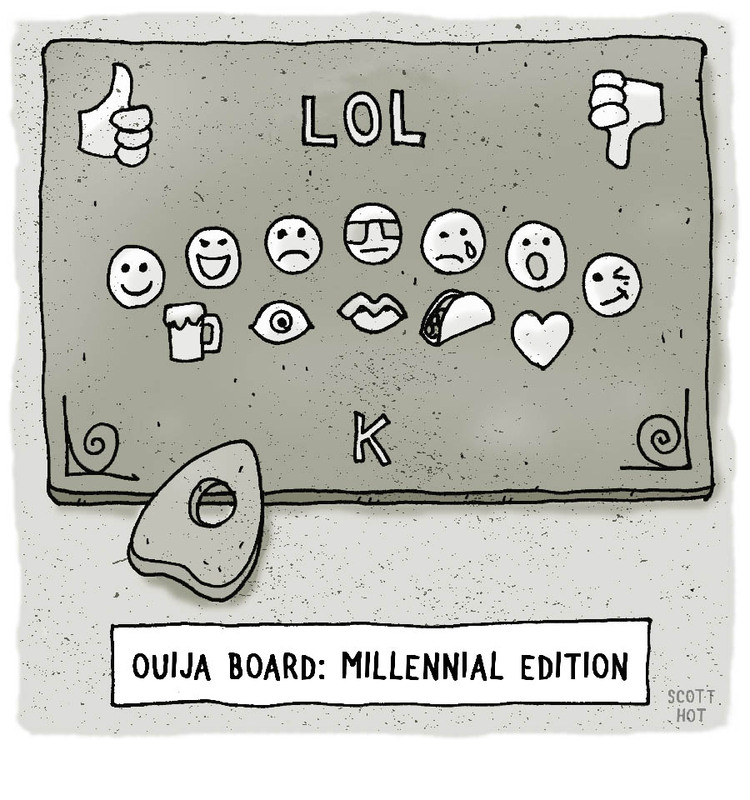 The ideas behind them are fairly modern and I thought in line with the New Yorker sense of humor. Of these four cartoons, I thought the couple on the couch was the one with the best chance to get accepted. To me, from an idea standpoint, it seemed very much in line with the kind of material they publish. The vulture one has an existential feel to it which I thought might’ve appealed to an editor and the dogs one has a wholesome cute laugh about it which might be desired in some circumstances. I would’ve been surprised if either one of these was chosen but I thought they were strong enough for submission from my perspective. 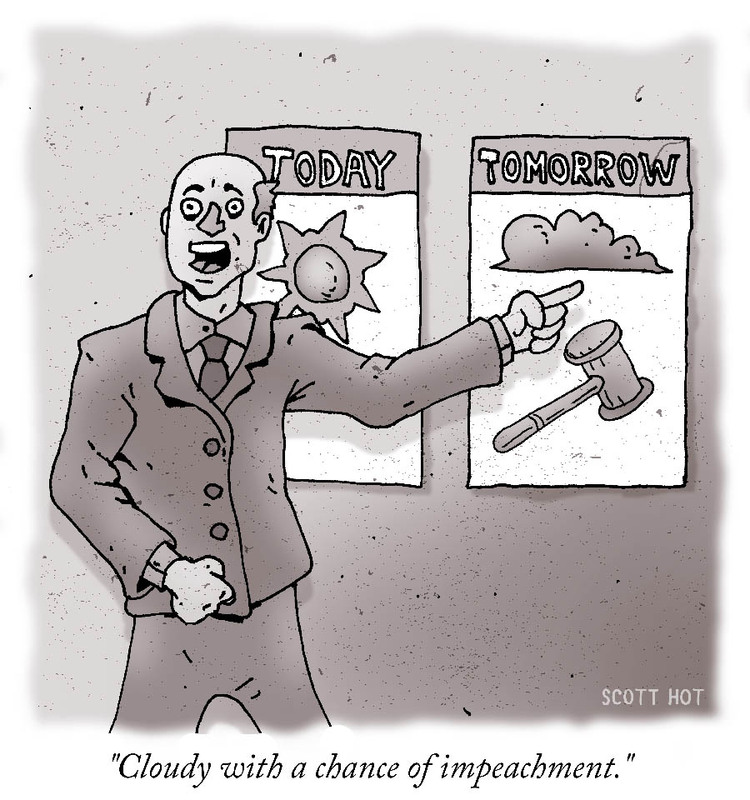 I thought the weatherman impeachment one was pretty good but maybe a little too late in the news cycle – it may become relevant again – but I think it would’ve had a better chance six weeks earlier. 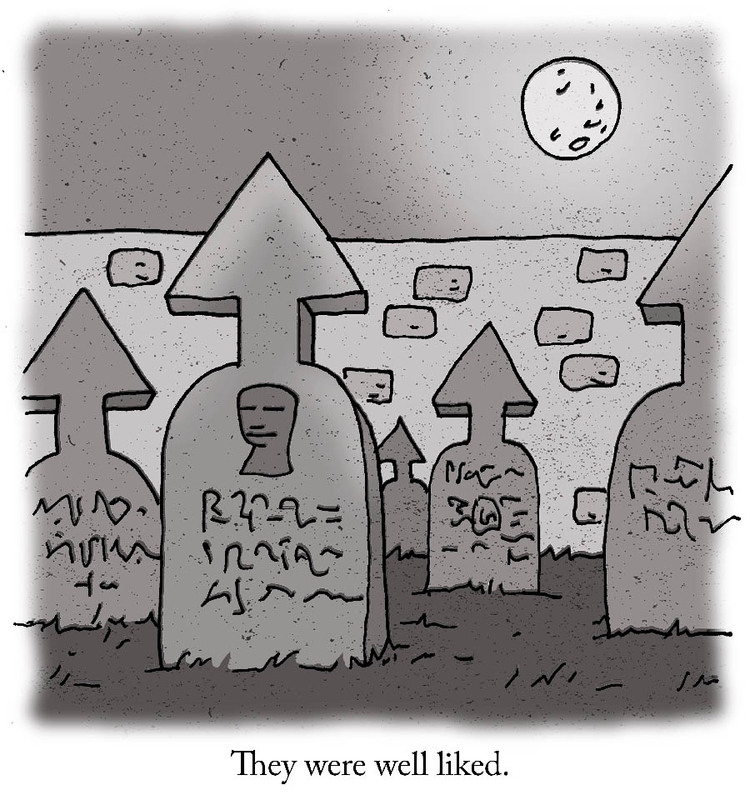 The penguin one might be a little too strange and it, along with the cemetery one, feel more like gag cartoons – something like a Far Side or Bizarro carton which is not what they’re generally looking for. They do have some that seem like a more traditional cartoon gag but not many. 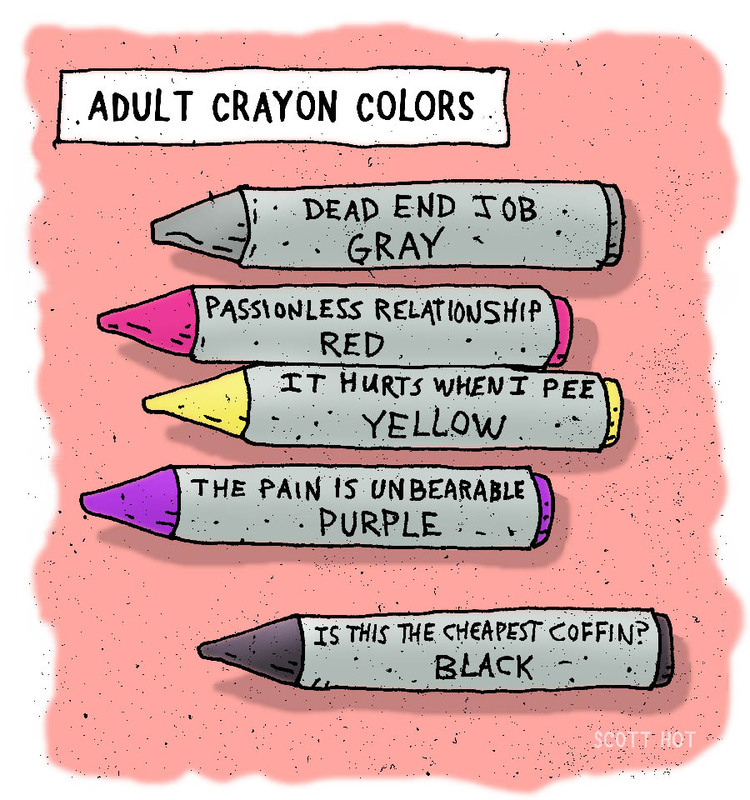 The crayons one may have been too dark for them plus it’s in color so that feels like two strikes – making it the absolute least likely to be published in my opinion – since they all didn’t get published, this as theoretical as an assessment gets. Is it Fun getting Rejected? What Now? Unsurprisingly, the answer is no – it was definitely not fun but I was prepared for it. Although I had thought I had a good chance to get accepted, it wasn't that hard to deal with the rejection for a number of reasons. I’m in it for the long haul. 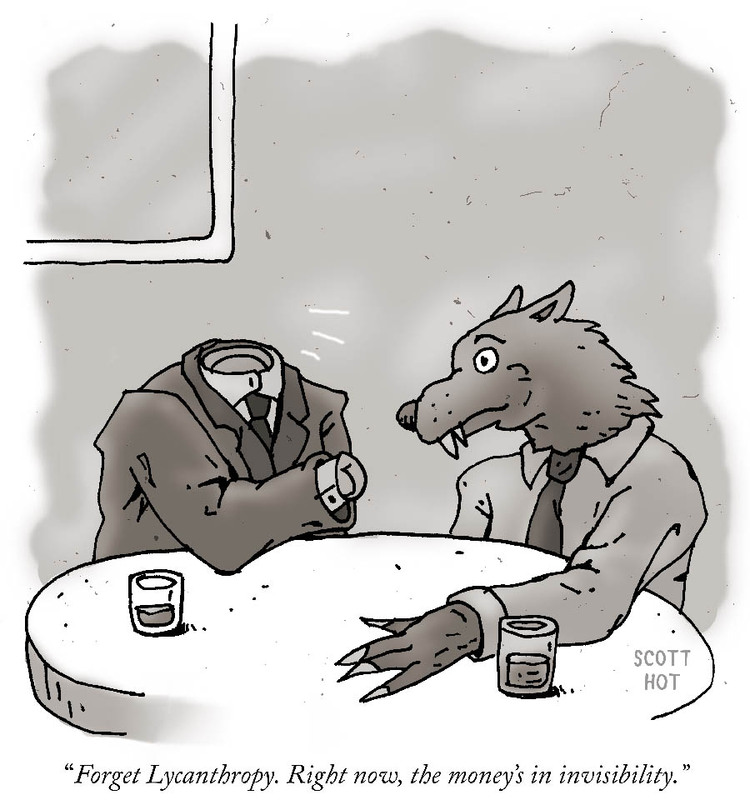 I don’t simply want to get a cartoon published in the New Yorker – that’s not my goal. My goal is to be a regular or at least semi-regular contributor so no matter what they said, I am going to make more submissions either way. The goal is larger than one attempt so it made it easy to put it in a proper perspective. I generally think then when things go wrong, you need to be prepared to wring the good things out of the situation. You can give yourself an hour to mope about and process your feelings but then you need to work from what reality presents to you and make it better. Nobody died so dust yourself off and keep doodling. In this case, the rejection helped to give me the insight to do a deeper analysis of how I can improve the cartoons and secondly it gave me the material to write this article which will help other cartoonists and hopefully along the way, get some strangers to view my work (my weekly cartoons are over here folks). Both of which are great outcomes. 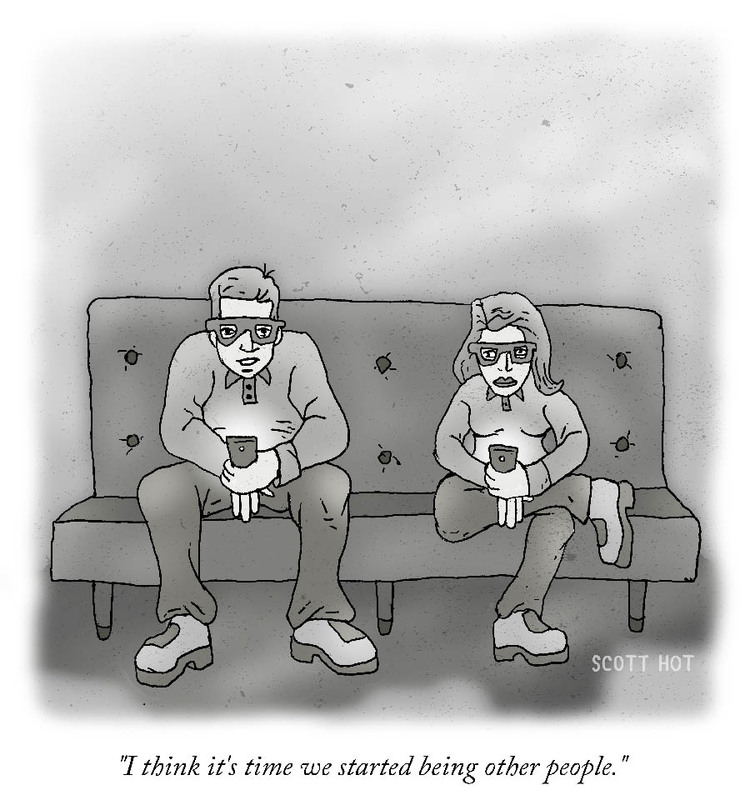 And now... I’ll start working on my next ten cartoons for the New Yorker.